The Quartet Of Woah! 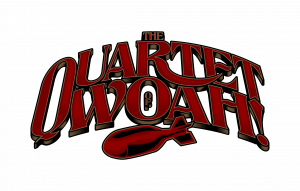 – The Quartet Of Woah ! When I was given this to review, I noticed it only has four tracks so figured it must be an EP, until I fired it up and noticed they are all in excess of 10 mins, one approaching 20 minutes !! This is my kind of music, music to get your teeth into…. Having been a Prog Nut for probably the best part of 45 years, I was excited and yet cautious as I had never come across this band before. With so much music to get through, it’s very easy to overlook one particular band or indeed a country. These guys hail from Portugal and have been around since 2010. Their first release (Ultrabomb) came out in 2012 to massive critical acclaim and have since gone on to release a further two albums and it’s the current self-titled one we’re reviewing here. Every track is different, but each track changes course and direction throughout, which keeps things interesting. You settle into a groove and just when you think the track’s about to end, it digresses down a different path. Nice use of organ and sound effects throughout. Not over-done, but complementary to the music. While there’s a lot of energy and invention here, there is definitely a retro feel to this album, which is no bad thing. The band have managed to create something fresh and original without very obviously ripping off other bands. At times, there is a driving drone to every track that draws you in and drags you along for the ride, chugging bass, chanting, repetition, it’s almost hypnotic, trance like…..
Definitely an album that keeps you guessing. Steve Hackett once defined “Prog” (Progressive Rock) as “unpredictable”. 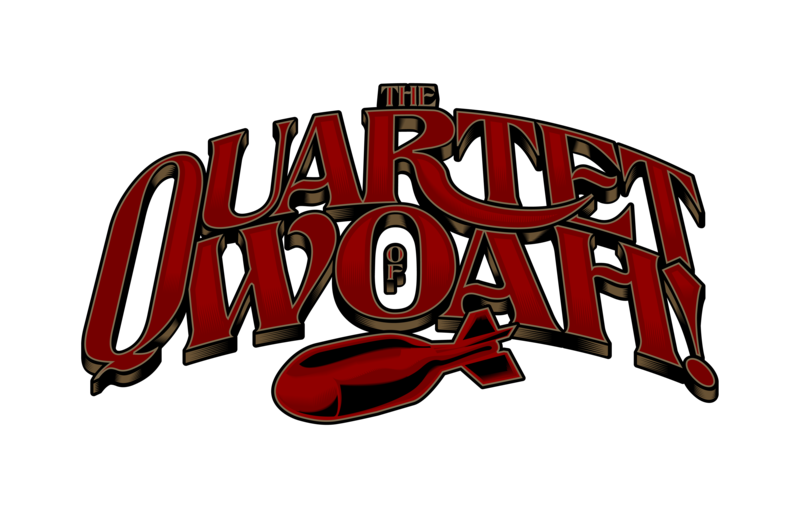 The Quartet Of Woah DEFINITELY qualify. An album of many depths that will keep you guessing from start to finish.